You're going to feel like a child in a candy shop. Bring in the new year with a bang. 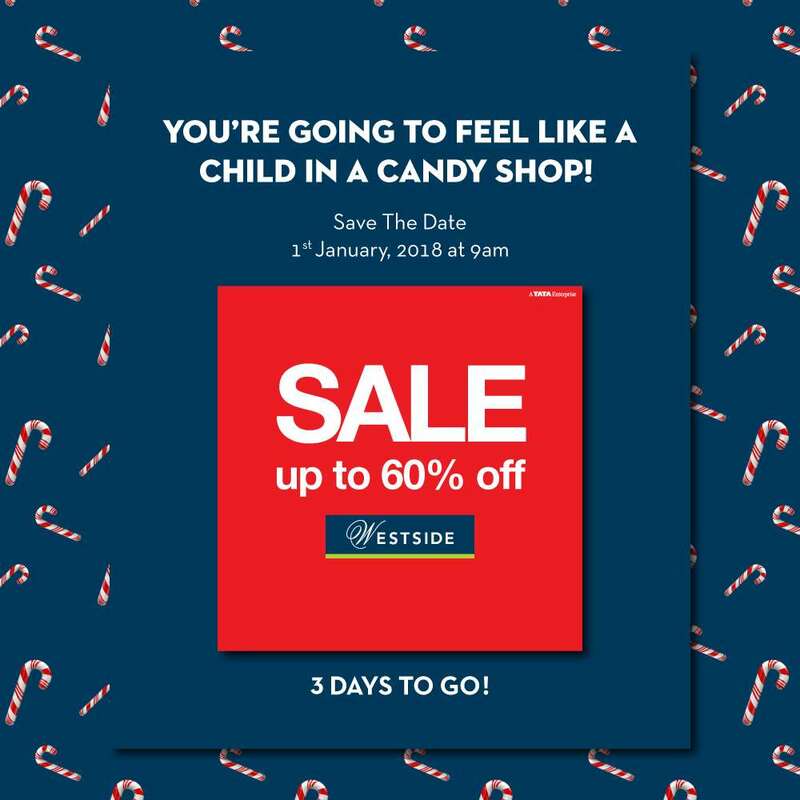 Save the date for the Upto 60% off Sale at Westside on the 1st of January 2018, at 9.am.